for use in product design and ergonomic simulation. 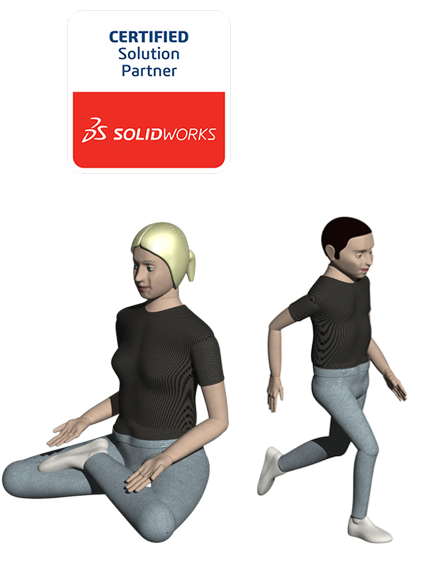 Human2go is a certified Solidworks partner, creating precision human Solidworks models for the global Solidworks community. The company is based in New Zealand, and has provided hundreds of clients with ID and CAD services throughout more than 20 years of operating. These human Solidworks models do not require any file conversion to run with Solidworks, and are fully pose-able. They retain their precision in measurements throughout their range of movement. The lead ergonomics engineer Paul Zwaan, has over 35 years experience in product design, project management, electronics, and R&D management. Past employers include manufacturers of scientific equipment, healthcare and electronic products, and personal electric vehicles. 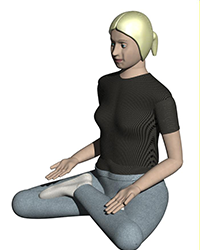 The BodyWorks CAD models use a unique joint system that allows for straightforward and precise adjustment of limbs into the desired position. There are several body percentiles to choose from as well as preset positions to make adjustment easy. HumanWorks is an advanced version of BodyWorks which behaves like any Solidworks assembly (complete with PhotoWorks textures). HumanWorks CAD models have hideaway handles for easy posing. They include adjustable clothing and configurations for maximum versatility and advanced pose changes. HumanWorks includes options from models of babies through to boys, girls, woman and man 3D models. 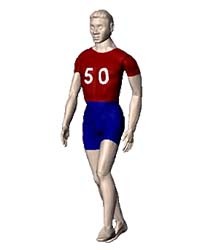 3 Solidworks human models included. Percentiles apply to stature, reach, lengths. No adjustable clothing or footwear. No Adjustable or removable hairstyle. Includes 1 Solidworks human model. Percentiles apply to stature, reach, lengths, girths. 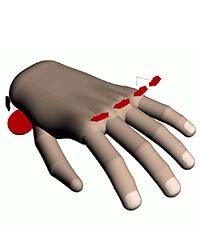 3 Solidworks hand models included. 5th, 50th, and 95th percentiles per download. Choice of male or female hand.